Swagbucks is our #1 way to earn extra money from home fast. Will you become a millionaire with Swagbucks? No. But can you make an extra $100 – $500 per month? Sure, if you’re diligent. Swagbucks will pay you to simply use its search engine. They will also give you $5 if you sign up through our Swagbucks $5 bonus link. So yup. This is probably the easiest way to make money online. Click here to sign up and get a $5 sign-up bonus! ?‍? 2. Get Paid to Watch Videos. 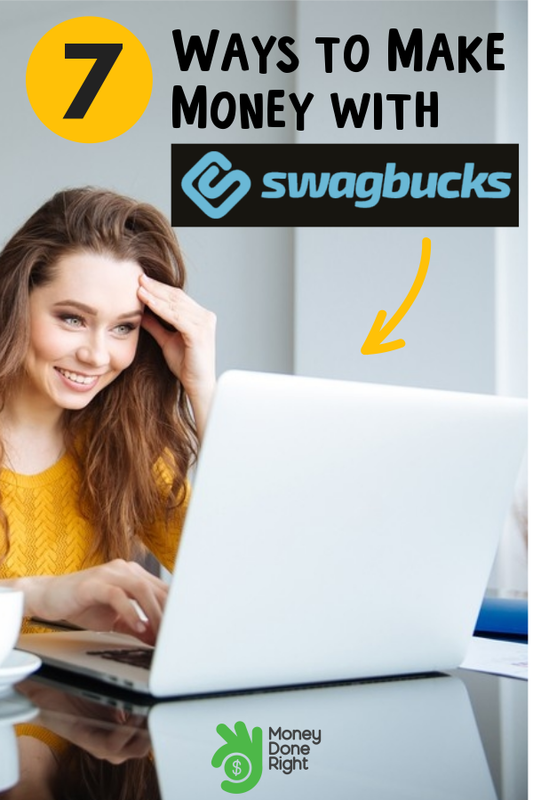 Believe it or not, Swagbucks will pay you to watch videos! And most of them are actually pretty interesting. Swagbucks videos include topics such as news, sports, fashion, and even cooking shows! ?️ 3. Get Paid to Take Surveys. Surveys are one of the quickest ways to make money online. No matter who you are, survey companies really want to know your opinion and are willing to pay top dollar for it! The trick is that there are only a few legit survey sites. Most of them are spammy, but Swagbucks ($5 Bonus) is 100% legit and does not send you spammy junk emails.
? 4. Get Cash Back on Purchases. 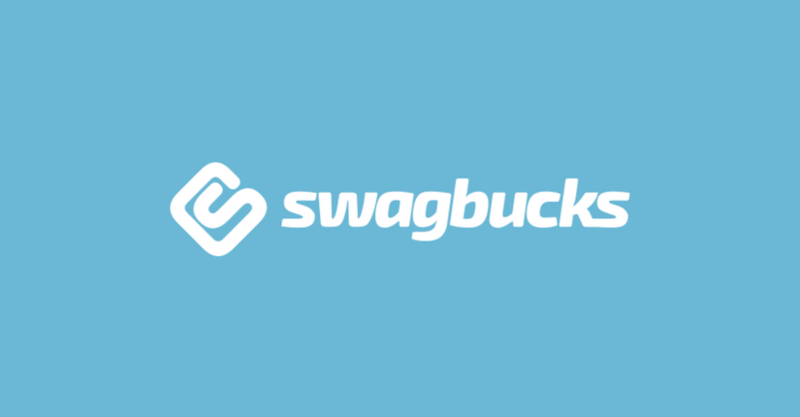 You may be more familiar with online cash back sites such as Ebates and TopCashBack, but Swagbucks has a fine cash back program in its own right.
? 5. Get Paid to Play Games. Disclaimer: we’re not talking about Call of Duty or Star Wars Battlefront II here. The games we’re talking about are simple, but fun games. 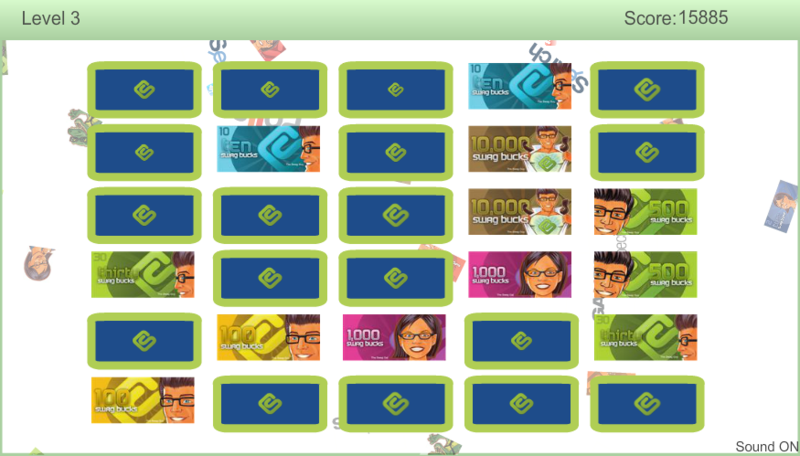 An example is Swag Memory, where you match the Swagbucks pairs with each other. Oh hell yes. ✂️ 6. Get Paid to Use Coupons. So this is pretty cool. Swagbucks has a whole ton of coupons for nearly 300 products from Advil Liquid Gels to Ziploc Bags. So not only can you save $1.00 – $5.00 on these products, but Swagbucks will actually pay you additional cash for using their coupons.
? 7. Get Paid to Give to Charity. At first I found the notion of getting paid to give to charity quite the ethical dilemma. I mean, I deduct my charitable contributions on my tax return. Is that kind of the same thing? Anyway, ethical dilemma or not, Swagbucks will pay you to give to charity.